Jan Hus was one of the most important religious thinkers and reformers of his time. 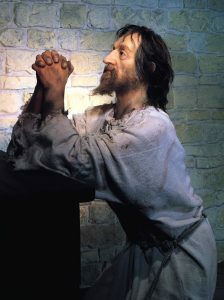 He strongly criticised the Catholic Church because of its corrupt practices, opulent style and wealth, and many Czechs shared his opinions and followed him. As a result, Jun Hus was excommunicated by the Roman Papacy. In 1412, he was asked to leave Prague. In 1414, he defended his teaching at the Council of Constance, and was put in prison, even though he had the Emperor’s safe conduct. 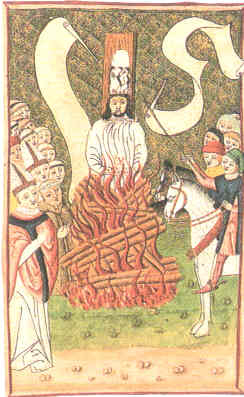 The next year he was considered a heretic and burned at the stake. 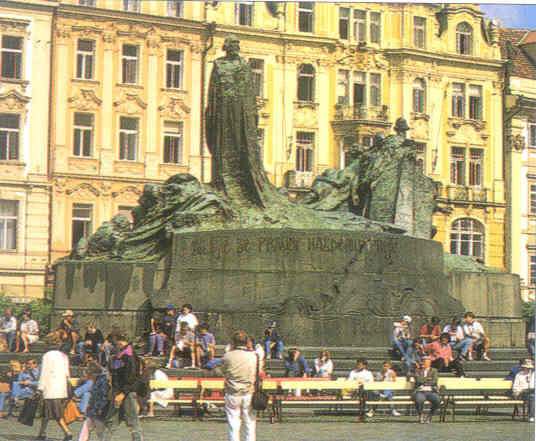 So on this holiday, Jan Hus is revered by the Czech people, who see him as a martyr. Many hundred seals of the Bohemian nobility were affixed to a letter protesting about the execution of Jan Hus. Hus’ death launched a series of rebellions and the Hussite Wars (1419-1434) in which Hus’ reformist followers fought against Catholic landowners and invading armies from Catholic powers outside, as well as among themselves. A famous early event in these conflicts was the first defenestration of Prague (in 1419), when a Hussite mob stormed the New Town Hall in Prague and threw some city councillors and the mayor out of the windows. The Hussites armies (made up largely of peasants) prevailed against their Catholic opponents for a number of years, thanks to the military genius of the partially blind Jan Žižka, and a compromise was finally reached in 1434. Bohemia’s nobility then chose its first and last Hussite king, George (or Jiři) of Podébrad (1458-1471). Ever since these conflicts, Jan Hus has been seen by many Czechs as a hero of Czech nationalism and the Hussites, rightly or wrongly, as heroic patriots defending “land and . . . liberty against the Crusader armies sent to crush it from the four corners of the earth” (Čapek 401) or, alternatively, as oppressed workers fighting their tyrannical aristocratic masters, something which explains why the Communist rulers of Czechoslovakia, for all their hostility to Czech nationalism and to religion, would restore Hus’ church and put pictures of Žižka and Hussite warriors on the bank notes. The anniversary of Hus’ death is a national holiday. 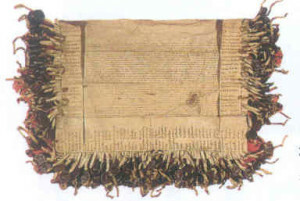 In fact, however, as Sayer points out, the Hussite period was far from the glorious national celebration later re-interpretations have made of it, for the movement was split by serious divisions between radicals and moderates, and the constant strife between these factions and with outsiders “seriously weakened the Bohemian kingdom both economically and politically” (43). One important development for the history of Protestant religion in these developments was the group born from the extreme wing of the Hussite movement, the Unity of Brethren or Moravian Brethren (many of whom who were forced to scatter beyond Bohemia and who set up communities all over Europe and in America).